Mar 6, 1995 - computer market in the early 1980s, when the orphaning of a ..... notice that price competition between the two firms will drive first period prices. For example, orphaned children may be discriminated against in intrahousehold ... Finally, in Malawi, most orphans, whether in rural or urban areas, live in. 2000b, Hamne and Bernhard 2000) MBL is very effective in fostering a good ... by Euler and Müller (1999) at the ESERA-conference in Kiel 1999 MBL is the only. Ager, Alan A.; McGaughey, Robert J. 1997. UTOOLS: microcomputer software for spatial analysis and landscape visualization. Gen. Tech. Rep. PNW-GTR-397. 946 (7.25 ) %. 67 (0.88)%. 53 (0.64%. 25 (0.3%. 35 (0.4)%. 64 (0.51)%. 10 (0.1) %. 3 (0.03%. 13 (0.12)%. 164 (1.66%. 12 (0.11)%. 253 (2.15) %. 0 (0.0 %. Sep 25, 2013 - PLoS. ONE 8(9): e75300. doi:10.1371/journal.pone.0075300. Editor: Christy Elizabeth Newman, The University of New South Wales, Australia. On the other hand, orphans under foster care may well be required to âpayâ for their expenses by making work contributions in and out of the household. foster care would be the only other likely alternative. ... of supply and demand and the child welfare per~pective .... Child Welfare League of America, 1969); and. Sobre cÃ³mo una adopciÃ³n internacional 'cerrada' puede 'abrirse'. ... Madre adoptiva de una adopciÃ³n internacional en Etiopia cerrada que se transformÃ³ en. The book is the official record of the papers presented at the ... theoretical design techniques such as the ... ible, at present, of the laws that govern digital. Nov 7, 2016 - H | Malignant Fibrous Histiocytoma. H B 9 Chondroblastoma. |JBH Metastatic Chondrosarcoma. MR Hemangioma. H i !MI| '7TJ 1. â¢Jsyy. U>. 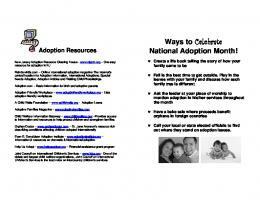 Create a life book telling the story of how your family came ... Adoption-Related books for Adults ... The Red String Starring: Nancy & Ruby Humphrey, Jeanne &. Adoptions and Orphans in the Early Microcomputer Market: Neil Gandal ([email protected]) Tel Aviv University Shane Greenstein ([email protected]) University of Illinois, Urbana-Champaign and David Salant ([email protected]) GTE Laboratories March 6, 1995 Abstract In this paper we develop a model with (1) differentiated consumers, (2) endogenous adoption times, (3) technical uncertainty, and (4) alternative technologies sponsored by competing vendors. We identify conditions under which orphaning arises endogenously in a framework of dynamic competition. We then use the model to examine the development of the microcomputer market in the early 1980s, when the orphaning of a widely-adopted operating system occurred. We find that the data characterizing this event are consistent with our theoretical framework. JEL Classification Numbers: L86, O33. We are grateful to Richard Arnott, Tim Bresnahan, Francesca Cornelli, Gregory Duncan, Raphael Rob, Yishai Yafeh and seminar participants at the 1994 Winter Econometric meetings, the University of Pennsylvania, and INSEAD for helpful comments. We received outstanding research assistance from Subhendu Roy and Susan McMaster. Greenstein would like to acknowledge partial funding from NSF IRI-92-09321. Please address all correspondence to David Salant, Principle Member Technical Staff, GTE Laboratories Incorporated, Waltham, MA 02254. Other dynamic models of technology adoption in the presence of network externalities include Farrell and Saloner  and Arthur . In both of these models, consumers purchase at different dates from competitive firms. anticipation of it. Although we embed similar buyer behavior in our analysis, we focus on how the interaction between buyers and sellers can produce orphaning in equilibrium. In the following section, we develop the basic model. Sections 3 & 4 characterize equilibria for the basic model. In sections 5 & 6, we enrich the model. Sections 7 & 8 provide anecdotal and statistical evidence consistent with our theoretical model. Section 9 provides brief conclusions. Supporting services can take the form of application software, peripheral devices, retail service, distribution facilities and information and literature about the products. 3 In section 4, we extend the basic model to the setting in which the probability of innovation depends on the number of early users. 4 In section 6, we show that are results are robust to the setting in which early adopters can abandon the system they purchased in the first period and buy a different system in the second period.  N T +N N . i.e., system “a" is ex post superior. The interpretation is that if complementary software indeed becomes available for both systems, the value of system “a" is enhanced by more than the value of system “b." Finally, we introduce some notation: Let   ( N ,  T ) denote the initial period purchasing decisions of the two types, where  j = i indicates type j purchased system i = a, b in the initial period. software, appeared between the initial and final periods. In the following two sections, we consider two cases. In the first case (section 3), the equilibrium is always characterized by early adoption, that is, for all parameter values, all consumers purchase in the initial period. In the second case (section 4) , outcomes in which non-techies do not purchase in the initial period are possible. In both cases, if consumers make a purchase in the first period, they always purchase the ex ante superior system. The motivation behind these sections is to establish conditions in which some consumers wait and early purchasers are orphaned. Marginal costs are identical in both periods. The standalone value of a system exceeds the marginal cost of production for both types of consumers. or (b, b), so that all consumers made purchases in the initial period, final period prices are irrelevant. The following lemma shows that there are effectively four cases. Lemma 1 (i) If both firms innovated between the initial and final periods, i.e., = (1, 1) and if  2 f(a, 0), (b, 0), (0, b), (0, a), (0, 0)g, i.e., some consumers made no purchase in the initial period, then equilibrium last period prices are p1a = ∆U + c and p1b = c. (ii) When = (1, 0), and  2 f(a, 0), (b, 0), (0, b), (0, a), (0, 0)g, then equilibrium last period prices are p1a = Ua + c and p1b = c.
Further, the expected utility of waiting for a consumer of type j is EV j = j + a b Ub ? c.
 Ua ? Ub  0. When bUb  aUa, it must be the case that system “b"
(correctly) anticipates that early adopters will purchase system “b." These beliefs are selffulfilling, provided that firm “b" sets its price at pcb = b (N)Ub ? a (0)Ua + c. Then, the result follows immediately from Proposition 1. Hence the result is as characterized in Proposition 1, with the exception that there are multiple equilibria. waiting for non-techies increases by the factor of b (1 ? a )c1 . Alternatively, if price discrimination (based on whether a consumer already has an “old" product) is feasible, consumers (techies) who turned in their “old" systems would be charged p1b = Ub and p1a = c1 , while consumers who did not turn in an old system would be charged p1b = Ub + c1 and p1a = c1 . In the case of price discrimination, the expected utility of waiting does not change for any type, regardless of the distribution of techies in the population. Hence the equilibrium is as characterized in Proposition 2, with the exception that techies may make multiple purchases. We conjecture that this argument generalizes to other cases. 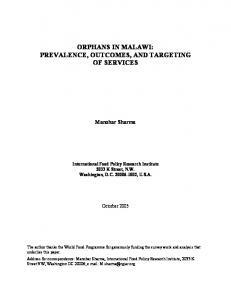 In summary, our theoretical analysis contains several insights about the factors producing orphans. Orphaning occurs in part, because of the heterogeneity in consumer evaluations, ie., high value users are the first to adopt new technologies. However, uncertainty regarding the availability of complementary software also plays a role. Proposition 2 shows that early and late buyers will make different choices when there are significant changes in the availability of complementary services over time. Finally, competition plays a role in encouraging early adoption by all groups, which should discourage orphaning. Of course, actual sales of software would also probably be a good proxy for the availability of complementary products. 10 Despite economists’ general interest in the phenomena of advertising, as a research topic in itself, there is almost no precedent for using this type of data to learn about features of the underlying high technology market. We are aware of only one other attempt to examine advertising in high- technology markets. Klenow, 1994, uses news releases and announcements to track the entry of new goods. The IBM PC also could run the CP/M operating system. Note that this edge in application programs corresponds with figure 2. BYTE Magazine, July 1982, p 331. This alone, of course, cannot explain the IBM PC’s success. Even as late as 1983, there was widespread dissatisfaction among Data Processing managers with functionality of personal computers in business environment (Friedman and Cornford ). 15 Openness eventually became associated with cloning. Yet, the significant clone occurred in 1985-87, after the dominance of the standard was established. 16 See the Lomas article in Byte 1982.
by 1985. The main applications were limited in 1981 and often were not user friendly. In 1985 applications were varied and many emphasized their “ease-of-use". And most interesting for our purposes, the dominant technical standards embedded in the operating systems of the majority of PCs in 1981 differed from those embedded in the majority of PCs in 1985. Since most of the new application software was incompatible with the CP/M systems, a large fraction of the users of PCs in 1981 found themselves orphaned by 1985. Figure 4 summarizes these “snapshots." In the next Section, we examine the advertising data to look for differences in the combinations of software, hardware and peripherals sold to early users and late users. Based on these historical facts and the theoretical model, we expect that the later (general purpose) users would be more reluctant than early (technical) users to purchase systems without the availability of a significant amount of complementary software. While there was advertising for other proprietary platforms in this period, notably Apple, TRS, and Atari, these are less interesting. First, they are quantitatively less important. Second, the platforms are not consistently open, so our theoretical framework has less to say about their characteristics. Third, our impression is that these platforms were almost exclusively aimed at the market for games and, ultimately, a different set of consumers. 18 Indeed the life-cycle of the CP/M platform suggests that the CP/M ratios of software/hardware and peripherals/hardware were biased upwards. Near the time of CP/M’s death there was almost no hardware advertising while there was still plenty of software and peripheral advertising. The numbers in parentheses in tables 2 and 3 are the standard errors. A “*" means that the t-stat exceeds 1.64, while “**" means that the t-stat exceeds 1.96. 20 For many specifications, we cannot reject the hypothesis that all second lags are jointly zero. software advertising precedes one-half of a page of hardware advertising. However, lagged hardware does not significantly predict software advertising in any of our specifications. Nor does peripheral advertising predict hardware or software advertising. We c onclude that there is an economically important relationship between lagged commercial activity in DOS software and later DOS hardware. However, the relationship is unidirectional: lagged hardware does not predict software. Now we can examine the question: are the coefficients describing the commercial activity for DOS the same as those describing CP/M? The answer is clearly no. 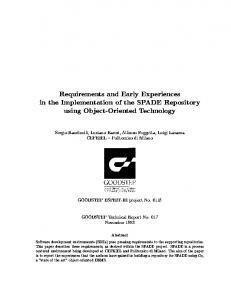 On a specification by specification comparison, the two regression results are not similar. Coefficients take on different signs, magnitudes, and significance. Coefficients describing the relationship between contemporaneous and lagged values differ. The patterns associated with DOS advertising contrasts sharply with those associated with CP/M. Our interpretation is that the success of DOS depended largely on the availability of software. CP/M displays patterns reflecting its appeal primarily to early adopters. predicted with certainty, early adopters face some inherent risks, and orphaning can occur. An empirical implication of our theoretical analysis is that when orphaning occurs, software is more likely to precede hardware for the technology of the “late" leader than for the technology of the “early" leader. The data we present support this prediction; there is evidence from the early microcomputer market that the pattern of adoptions and orphaning was associated with the later adopters waiting for software and other complementary products to develop. In particular, the advertising patterns associated with the DOS platform differ from those associated with CP/M, the leading operating system among early microcomputers. In contrast to CP/M, there is evidence that the success of DOS depended largely on the entry of many DOS-based software vendors and the associated increase in the availability of DOS compatible complementary software. References  Arthur, B., 1989, “Competing Technologies, Increasing Returns, and Lock-in by Historical Small Events," The Economic Journal, 99: 116-131. Bresnahan, T., and S. Greenstein, 1992, "Technological Competition and the Structure of the Computing Industry," Center for Economic Policy Research, Stanford University, Publication No 315. Chou, C. and O. 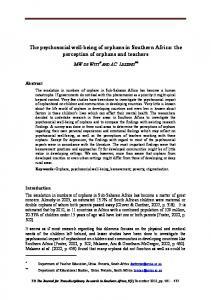 Shy, 1990, “Network Effects without Network Externalities, International Journal of Industrial Organization, 8: 259-270. Church, J. and N. Gandal, 1992, “Network Effects, Software Provision, and Standardization," Journal of Industrial Economics,, XL: 85-104. Church, J., and N. Gandal, 1993, “Complementary Network Externalities and Technological Adoption," International Journal of Industrial Organization, 11: 239-260. Outcome (3) will also occur in the uninteresting case in which N < c ? Ub . 1. All consumers buy early from the ex ante superior system,A, if N prices are p0 = (?Γ + c, c).  . Initial period prices are p0 = (c, Γ + c). 2. For N < min[, ],techies purchase system A in the first period. Non-techies make a purchase only in the second period if at least one innovation occurs. The first period prices are p0 = (c, Γ + c). 3. If  < , there is a third region: For  < N < , all consumers buy system A in the first period, the first period price for system B is 0 and for system A, the first period price is p0a(N ) = b Ub(1 ? a) + N (2 ? a b ) + a b c < Γ + c.
a b (Ub + N ? c). a Ua + 2N ? (?Γ + c) = b Ub + 2N ? c.
system a, the ex ante superior system, in the first period. It can easily be verified that ^ < c.
period at a price of jΓj, (ii) for  < ~, only the techies purchase the ex ante superior system in the first period (also at a price of jΓj + c.) Non-techies make no first period purchases. ab [Ub + N ? c]  b Ub + 2N ) ? p0b . The most firm “b" can charge and still sell to both types in the initial period is denoted p0b(N ) and equals p0b (N ) = b Ub(1 ? a ) + N (2 ? a b ) + a bc. By selling to both techies and non-techies, firm “b" will get profits of Np0b (N ). Firm A can set its first period price at Γ, sell only to techies in the first period, and earn expected profits of N T Γ + N N b (1 ? a)(Ub + N ? c), where the first term is the first period profits from selling to the techies and the second term is the expected profits from selling to non-techies in the second period. Selling to techies is more profitable than selling to both types in the first period whenever N < . The result then follows by showing that, analogous to the case in which system “a" is both ex ante and ex post superior, techies always purchase in the initial period. Report "Adoptions and Orphans in the Early Microcomputer Market - CiteSeerX"